Podcasts have become a pretty big part of the mobile entertainment generation. Instead of being pinned to radio stations, we can now listen to shows on a subject of our choosing. This, of course, includes the world of filmmaking. There are several podcasts that are worth listening to, but these are the select few that I never miss to keep me up on the filmmaking world. A weekly breakdown of what’s new in the world of entertainment, Showbiz Sandbox covers everything from film to broadway. Check this one out for some interesting insights into the most up-to-date entertainment information. 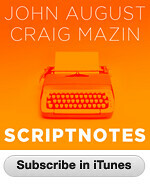 The official podcast of screenwriters John August and Craig Mazin, Scriptnotes offers a fantastic insight into the business of screenwriting. Not only that, it offers practical advice on how to write, and how to work inside the Hollywood system. This is a must listen for writers. There is probably no more comprehensive filmmaking podcast than the Digital Filmmakers Podcast. Featuring interviews with professionals from the industry, the podcast teaches editing, storytelling, cinematography, and every other aspect of the industry. Best of all, it hails from FilmmakingWebinars.com, home of great free webinars for filmmakers. Sometimes you just want to hear people review some of the biggest movies in Hollywood. For this, look no further than Now Playing, the movie review podcast. The fun repor makes this an entertaining podcast regardless of if you’ve seen the movie or not. 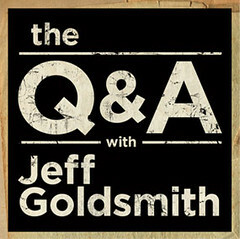 While Scriptnotes may be the most relevant business oriented podcast for writers, there is no more intriguing than The Q&A with Jeff Goldsmith. Goldsmith is the former editor of Creative Screenwriting Magazine, and has interviewed some of the most legendary writers in film. Check out his back catalogue for several episodes you won’t want to miss. What are some of your favorite filmmaking podcasts that I may have missed? Share your thoughts with the community in the comments! In another article I’ll cover some of the best podcasts overall you should be listening to.